In the era of consumer choice, advertisers have to create content that people actually want to pay attention to and interact with. This thesis served as the backbone for an in-depth, three-hour discussion about native advertising that touched upon topics ranging from ad blockers to neuroscience. Here are some of the key highlights. Although there’s been plenty of talk about native, some advertisers have barely started dipping their toes into the relatively new format, while many others remain confused about how to approach native advertising properly and how to make it work for their brands. In response to this confusion, native ad platforms including Sharethrough, TripleLift and Instinctive (which I co-founded) have worked with trusted names like Nielsen to release research around the effectiveness of native ads. Banners are seen but not read, while native ads are seen and read. Banners only engage one side of the brain, while native ads engage both sides of the brain. The brain can process 26 images in a blink of an eye, or two words. Consequently, a headline is worth 300 images. We make snap judgments on whether we want to read something or not based on context words that can draw users in through associations related to insight, time, space or motion. Attention is emerging as a currency for advertising. The adoption of viewability standards around media buying is one of the first indicators of this shift. Companies such as The Financial Times and Medium are ushering the next phase of this transformation with time-based billing models. The FT started selling on a cost-per-hour basis earlier this year, and Medium has been transacting on its TTR (total time read) metric, according to the company’s Head of Partnerships, Joe Purzycki. Ad blockers have been a hot topic at every single panel that I’ve attended so far, and this one was no exception. There is a hope that ad blocking will lead to the creation of higher-quality content that consumers will enjoy. But why are users installing ad blockers in the first place? Chartbeat's Chief Data Scientist, Josh Schwartz, says that users are demanding a better user experience from the sites that they visit. Bad website design or way too many ads on a page will drive the consumer away from reading a piece of content. In fact, up to one-third of people will stop reading an article in the first 15 seconds due in large part to these factors. Medium believes that native may very well be the long-term answer to ad blocking. Vox Creative Director Rob Bear shared the same belief, and also felt that the perceived threat is overblown. 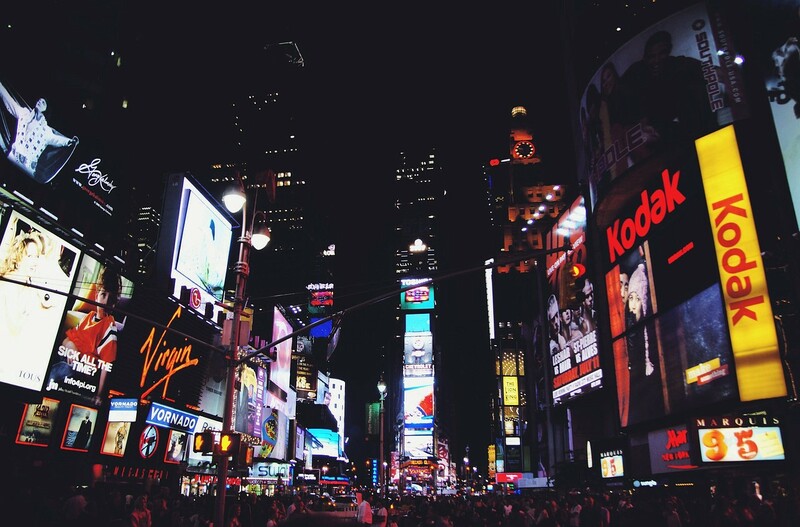 In order to capture consumer attention, advertisers can no longer just create ads. They have to create content. Lynn Sladowski, Senior Director of Social Media at MEC, says that some of her clients are now creating mini-movies, which can be recut and excerpted in different ways for different platforms. However, Sladowski points out that the industry currently faces a huge challenge with content creation because content can be expensive and hard to scale. She also noted that consumers are craving longer-form content. Raymonde Brillantes-Green, VP of Partnerships and Investment at DigitasLBi, believes that the biggest challenge with native video is tonality. Oftentimes, the video assets available are repurposed from a brand’s existing content efforts. So advertisers end up placing whitepaper videos in casual video consumption environments and it just ends up feeling out of place. He believes that clients will adapt and adjust their content creation process to new native video formats. Many brands are also becoming publishers in their own right. As publishers, brands face unique challenges around the tone and purpose of their branded content. Adobe’s Neda Stoll, who handles business strategy and marketing for its CMO.com branded content hub, believes that branded content should not be self-promotional. She sees CMO.com as a thought leadership play and wants to make sure that it is primarily an inspirational space for digital marketers. Casper’s Chief Creative Officer, Luke Sherwin, shares the same view. The bed-in-a-box company recently launched Van Winkle's, which is a publication dedicated to sleep. So how do marketers measure the effectiveness of branded content? Even Adobe, which creates analytics products, admits that its own measurement process for CMO.com isn’t fully comprehensive. Stoll’s team uses engagement, time spent, social shares, brand tracker studies and some attribution modeling to show how CMO.com’s content efforts are driving business opportunities for the larger Adobe brand. Adobe’s story is a perfect example of how advertisers and technology platforms are continuing to adapt to a new model of advertising that is based on voluntary attention.